The First Date with a woman is your chance to display your charming and chivalrous side. 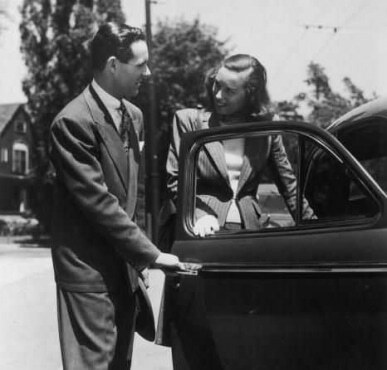 While most acts of chivalry (like opening a door for your date or helping her to her seat) require only your thoughtfulness, moments will arise when you’ll need a tool to assist in your kindness. 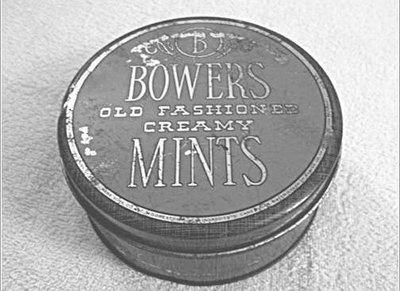 Below I’ve included a short list of items I recommend a well-armed gentleman having on him during a first date (or any time for that matter) that will prepare him for any situation and leave his date impressed. 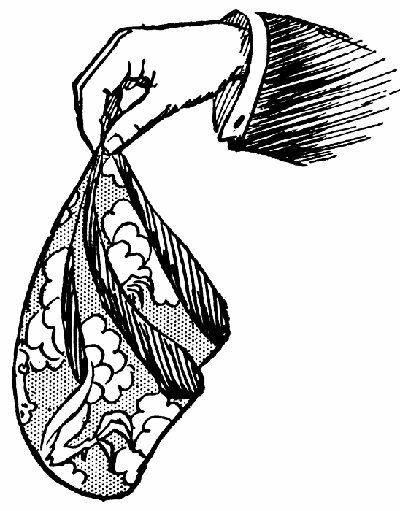 Before you head out on your date, slip a clean, pressed white hankie into your pocket. When your date tears up during the movie you’re seeing, she’ll appreciate the offer of a soft hankie. Hankies can come in handy in non-crying situations, too. If your date gets grease or food on her clothing, give her your hankie so she can clean herself up. Let her keep it when she’s done with it. First, it might have her snot in it. Second, when she does get around to washing it, your hankie will serve as a reminder of how awesome you are. She won’t be able to wait to go on a second date with you. Nom nom nom. That garlic infused steak topped with garnished onions was delicious. But now your breath reeks to high heaven. Trust me. Your date doesn’t want to smell what you ate for dinner the rest of the night. Show some courtesy by popping a few mints as you step out of the restaurant. You’ll only be increasing your chances for that first kiss. Your date will probably be looking for something to freshen up her breath during the date as well, so make sure you’re prepared when she asks if you have anything that will do the trick. It seems the whole world has gone plastic, but a gentleman should always have cash on him, particularly on a date. 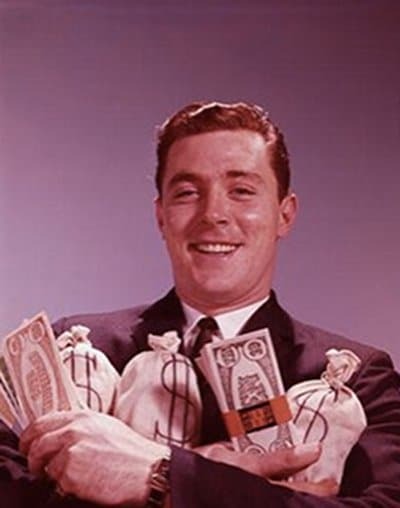 Why carry cash? Most parking places and some toll roads don’t accept credit and debit cards. When you pull up to the crusty old parking lot attendant, you don’t want to be scrounging around for change in your cup holder, or even worse, asking your date to pay. And you’ll want to take your date to a small, interesting restaurant instead of a generic chain place, and many mom and pop joints don’t take credit cards. Imagine your panic when the check arrives and all you have is a useless card. Also, even if the establishment does take plastic, you’ll need plenty of cash on hand to cover tips throughout the night. Sure, you can often take care of this with debit cards, but there’s something a bit more personal about greasing a palm with cold hard cash. Besides, most waiters I know prefer getting tipped in cash. Finally, stopping at a roadside stand for some ice cream is always a nice finale to a date, and once again, most don’t take cards. So stash some of that green stuff in your wallet. When a woman has spent an hour or two getting dolled up for a date, she doesn’t want the effect ruined by stepping out into the rain. Stash an umbrella in your car, and you’ll always be prepared to keep her dry. 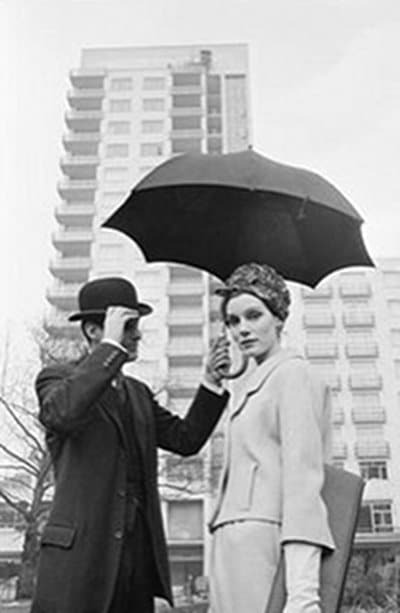 If it’s raining during your date, keep your umbrella with you so you can always protect her from the elements. In those moments it’s not raining, an umbrella can double as a Bartitsu weapon to knock in a hooligan’s head. 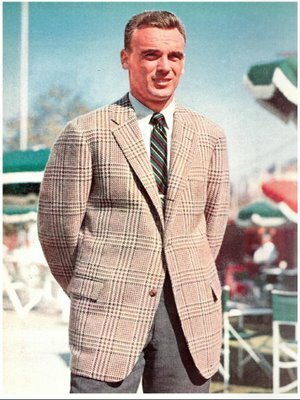 The sports coat serves two purposes in a gentleman’s arsenal. First, jeans, a button down shirt and a sports coat is a can’t fail look to impress your date and help you look your best. Second, dressing in layers allows you to offer your jacket to a lady no matter what the weather or need for an overcoat. If it gets chilly at the museum or while strolling together at night, you’ll be prepared. The gesture of offering your jacket, in addition to simply being chivalrous, will score you innumerable points with your date; feeling cozy in your coat will make her feel closer to you. A sports coat also has handy pockets for your other tools; some even have special ticket pockets to stash the tickets for the show you’ll be seeing. What other items should a man carry on a date? Share your ideas in the comments!